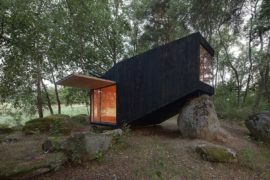 Finding solitude in the modern world is hard indeed. 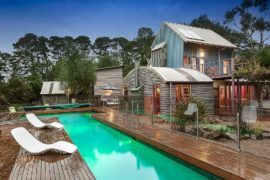 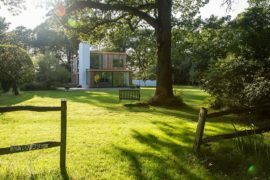 It does take a refuge in the heart of nature to offer the perfect escape that helps you relax and move away from it all! 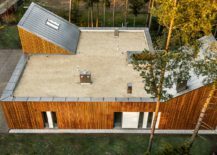 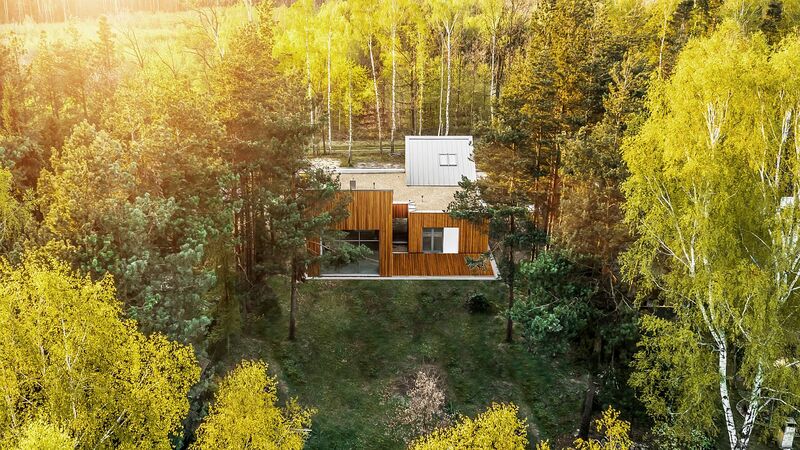 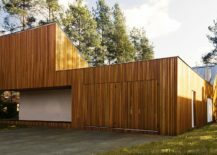 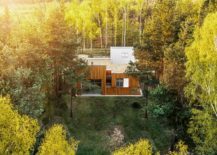 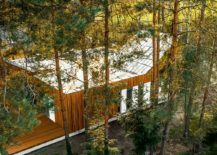 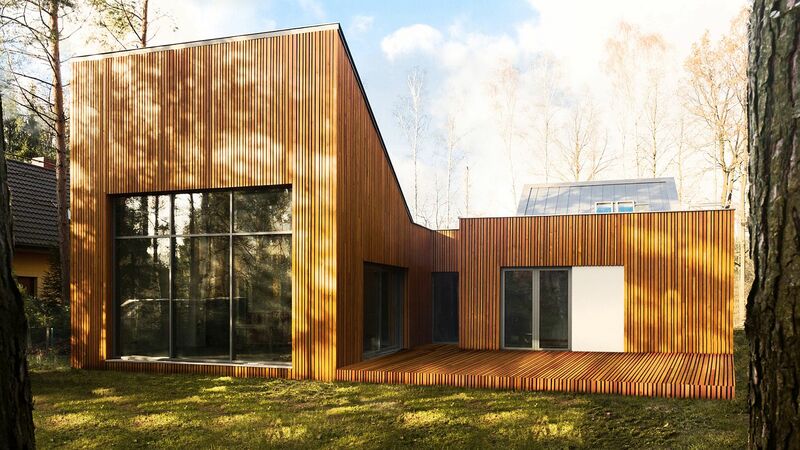 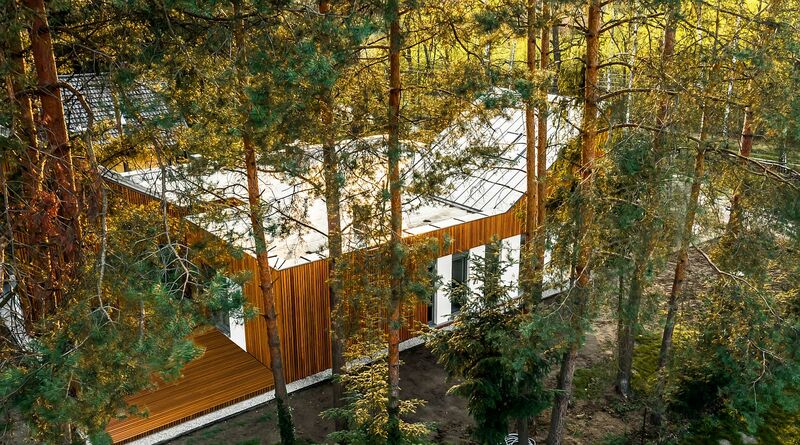 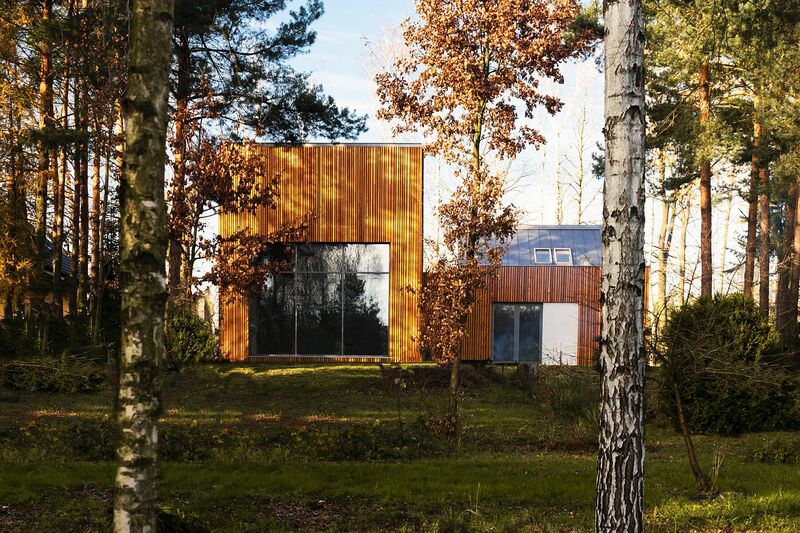 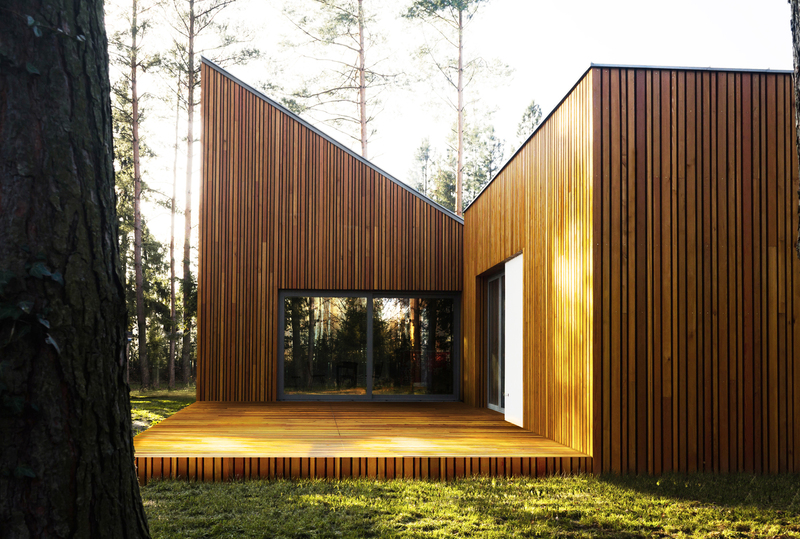 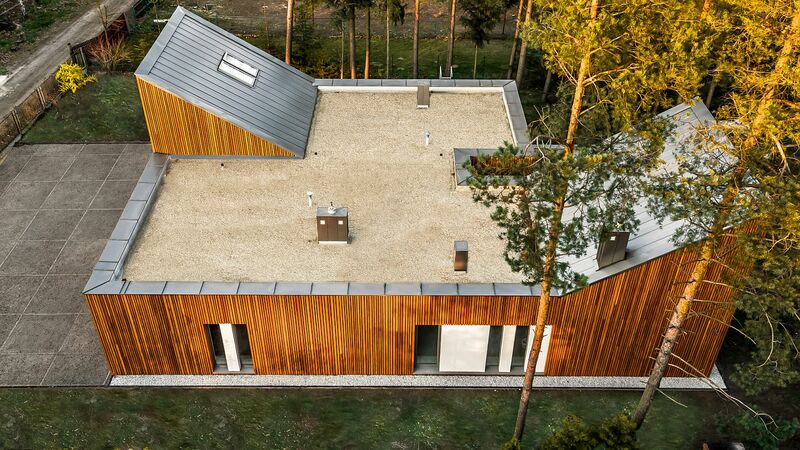 Designed by grupaVERSO, the Forest House in Kuźnica Kiedrzyńska, Poland is one such holiday house that allows its homeowners to enjoy the sights and sounds of the pine forest around it without infringing on nature. 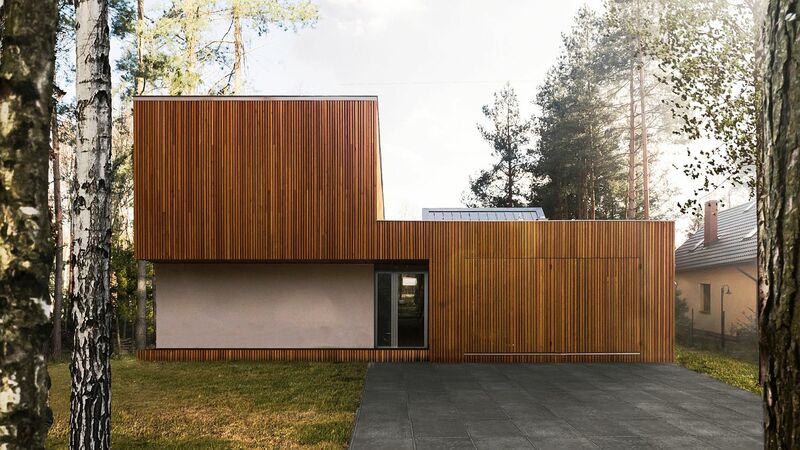 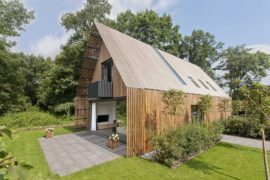 Nestled on a small site that has been specifically cleared for the residence, the house has been clad in wood on the outside to ensure it blends in with the landscape. 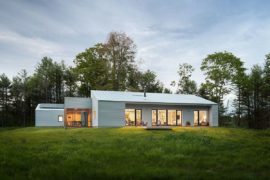 Insulated glass windows frame the views outside while keeping out the chill even as passive solar heating brings warmth indoors. 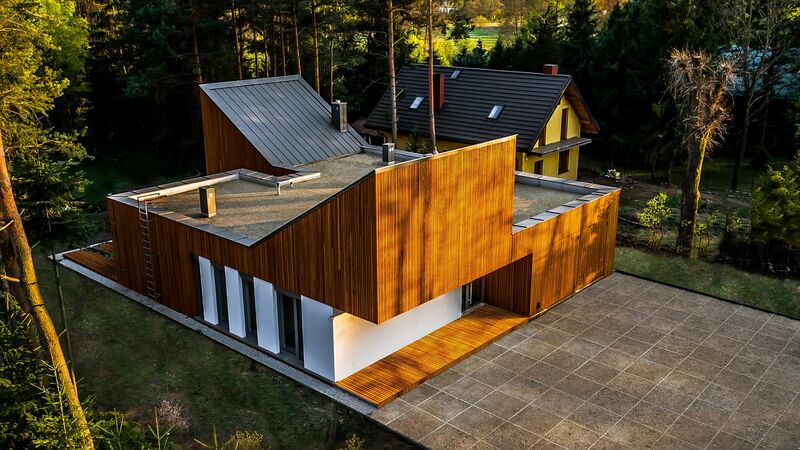 Slanting roof forms give the façade another unique feature while functional arrangement of spaces inside the house makes life much easier. 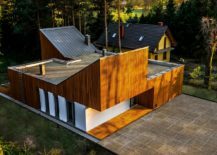 A wooden deck outside extends the living area outside while an area originally designated for the garage has been turned into a beautiful home office that also serves as an additional guest room. 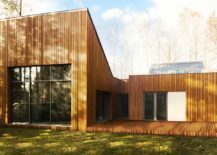 Parents’ bedrooms and kids’ spaces are carefully tucked in the rear while the social areas of the house sit at the front. 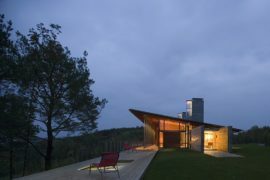 This is also a reference in the adopted functional and spatial layout. 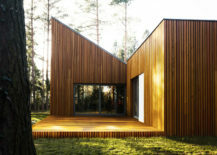 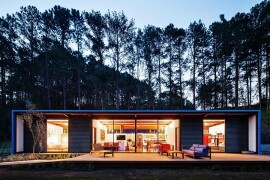 Large glazing from the southern side blurs the boundaries between the interior and exterior, allowing ideological penetration of the forest inside the house. 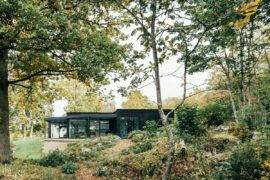 The large glazing in the front part, which was supposed to be originally a garage gate, was masked with divided into two parts shutter. 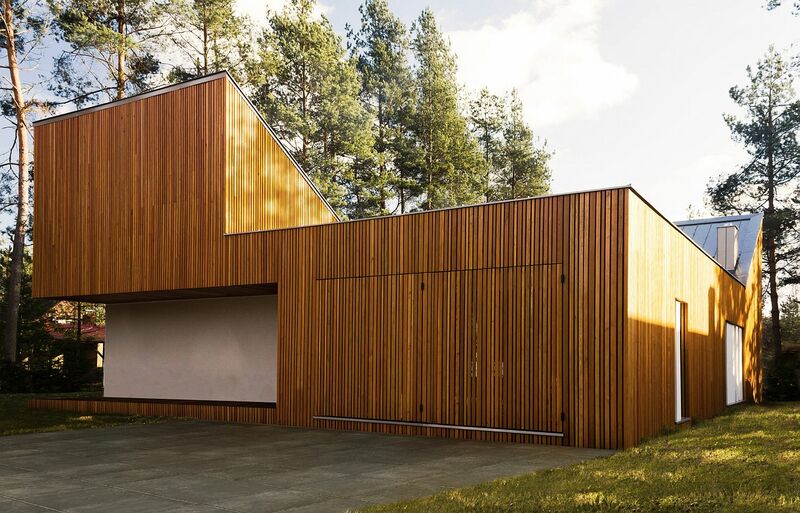 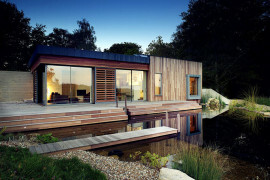 This allowed obtaining a minimalist and natural in its expression facade.